Bust the myth of Blue Monday: “blue any day” is for who suffer burnout and PTSD. You can help, now! Moonpig, the personalised greeting card and gift retailer, have created a new range of flowers and cards in aid of Mind, to spread the message that no one should face a mental health problem alone. 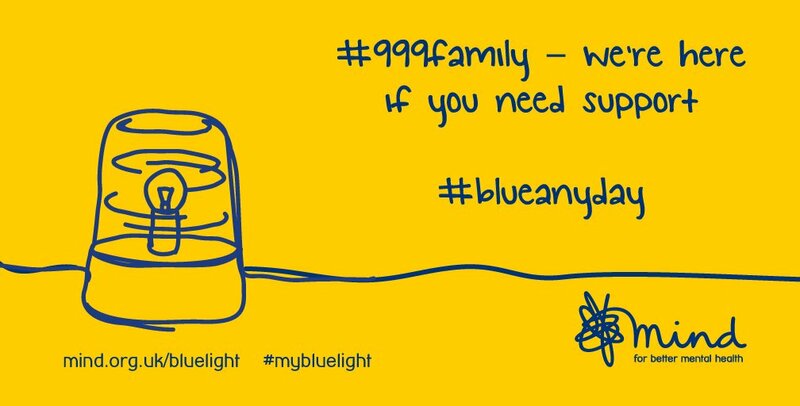 Launching on Monday 16 January – often dubbed ‘Blue Monday’, the so-called most depressing day of the year – Mind and Moonpig hope to bust this myth and remind people that mental health problems can happen on any day of the year, and that friends and family can play an important role by being there all year round. A recent study commissioned by Moonpig found that just over a fifth (21%) of people would send a get-well card to someone living with a mental health problem at home, compared to over half of people (50%) who would send a get-well card to someone suffering from a physical health problem. However, over two thirds (68%) of those who live with mental health problems said receiving a gift or a kind act would make them feel like someone cared about them and a further 65% stated that this would make them feel as though they weren’t alone. Mind’s Head of Information Stephen Buckley said: “Blue Monday contributes to damaging misconceptions about depression and trivialises an illness that can be life threatening. There is no credible evidence to suggest that one day in particular can increase the risk of people feeling depressed. 1 in 6 people will experience depression during their life. It can be extremely debilitating with common symptoms including inability to sleep, seeing no point in the future, feeling disconnected from other people and experiencing suicidal thoughts. To mark the launch of the new range of flowers and cards in aid of Mind, the #PlantASmile pop-up garden came to London’s Observation Point for one day only, Monday 16th January. The pop-up garden, attended by Mind ambassador Denise Welch, reminded people that mental health problems are not dictated on one day only. The bespoke ‘Thinking of You’ bouquets and cards are available to buy at Moonpig.com, with purchases of the range contributing to Moonpig’s donation to the charity, Mind. Attacks to NHS Medical Staff must become an official crime – Sign the petition!